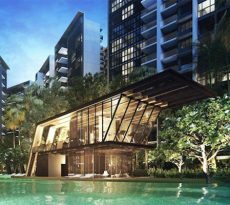 Located along Alexandra View at the heart of District 3, Artra Alexandra is a brand new property launch by FEC Skyline Pte Ltd, a joint venture between renowned developers Far East Consortium (FEC) and the New World Development Company Ltd. The mixed development sits on an 8, 398.5 sqm site area and houses a 44-storey tower comprising 400 residential units, several commercial and retail units as well as a childcare center. This means future residents will have almost all the desired amenities at their disposal. The Artra Alexandra features a thoughtful mix of units with a configuration ranging between 2 and 5 bedrooms. There are a total of 190 2-bedroom+study units, 108 3-bedroom units and 64 3-bedroom + study units. The condo also consists of 32 3-bedroom units with Study and Private Lift and a set of 6 5-bedroom units plus family and private lift. This makes Artra condo ideal for both young and multi-generational families. 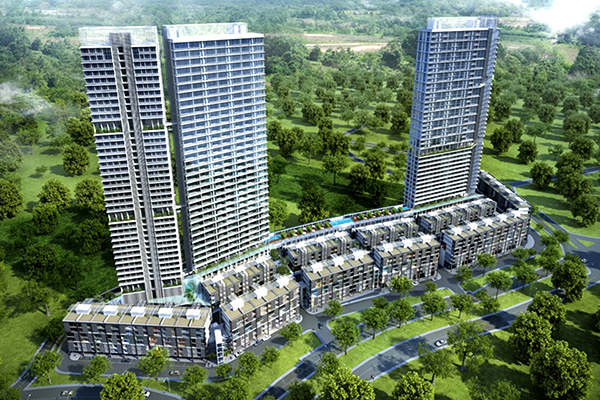 Artra Alexndra is furnished with all the facilities one would expect in a modern condo setting. Future residents will have an opportunity to unwind at the condo’s massive swimming pool with relaxing hydrotherapy beds and bath beside it. Those wishing to work out their muscles and get fit will be able to do so at the indoor gym and aerobic/yoga room while children can enjoy unlimited play at the Children’s play area. Other notable facilities that can make life for the residents quite interesting include a Jacuzzi, BBQ pavilion, tennis court, function room, club house and more. The Redhill MRT, which operates along the East West Line, lies across the Artra condo, making access to such places as Raffles Place and Outram quite hassle-free. 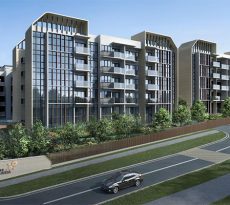 Artra conveniently sits along Alexandra Road, which can allow residents to access the Central Business District (CBD) as well as the Orchard Shopping District in a mere 5 minutes by car. The Central Expressway (CTE) and the Ayer Rajah Expressway (AYE) are also close to the development, facilitating swift transport to and from other parts of Singapore. Families with school-going children will have an easier time enrolling them for education as there are a range of established schools within the Artra Alexandra neighborhood. 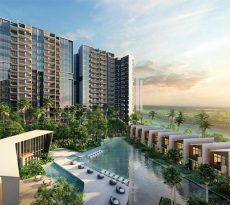 Some of the notable schools lying in close proximity to the condo include Gan Eng School, Alexandra Secondary, Crescent Girls’ School, Henderson Secondary and Queenstown Secondary. Aside from the supermarket and other shopping outlets located within Artra, residents will enjoy shopping places like the Tiong Bahru Plaza, Queensway Shopping Centre, Anchorpoint Shopping Centre and IKEA Alexandra. The 99-year leasehold site, where the condo sits, was bought at $373.1 million translating to $842.28 per square foot (psf). Market analysts expect the condo to be launched at a price of $1,400 plus psf. But home buyers and investors can expect the prices to change according to market sentiment. Seeking a loan to purchase one of the units in the coveted Artra Alexandra residence but don’t know here to start? Well, iCompareLoan mortgage broker can make things a little swifter and more affordable for you. We can provide you with a range of services including consultation, analysis and short listing of loan packages from different lenders. The baseline of our services is to help you compare home loan Singapore, and settle for a loan package that’s favorable in terms of interest and repayment terms. Why should you get stressed out looking for a home loan when we can simplify the entire process and help you save more while at it? Simply use our brokerage services today and get the value that you desire.